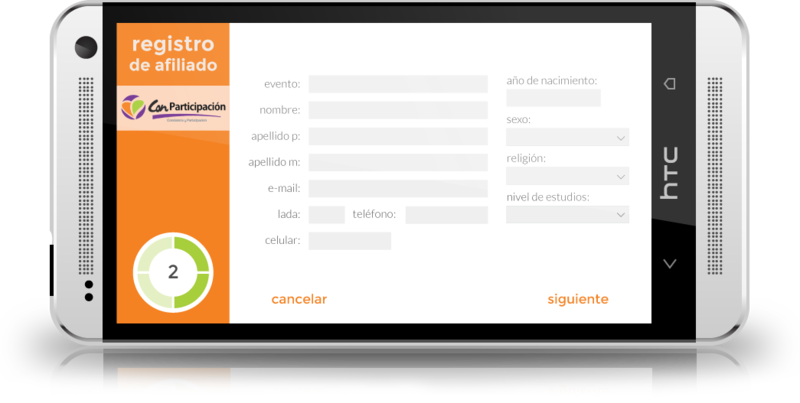 “Con Participación” used manual methods to gather information on their new affiliates all around the country. We created a mobile app that automates the process and allows easy storage on the central affiliate database. I designed the app and coded the HTML and CSS. Works on Android. Developed by SISU Technologies.